Idle games, or “clickers” as they’re commonly referred to, have become pervasive on mobile and generally gamers fall into one of three different camps when it comes to them. Those that love them and can’t get enough of them no matter what, those that hate the very idea of them and wouldn’t touch a clicker with a 50 foot pole, and those that enjoy the occasional clicker but have burnt themselves out playing too many of them over the years. I fall into that third group and nowadays it takes something truly unique for me to get into a new idle game. And this week, Sprout: Idle Garden (Free) is just what the doctor ordered. First of all, a game about growing flowers? I’m a big burly dude with a beard! But you know what, I’m very in touch with my sensitive side, and flowers are actually super cool. There are so many kinds of them, in a multitude of different shapes, sizes, colors, and patterns. If I didn’t kill every living plant I’ve ever bought, I would try to grow a garden of flowers in real life. But I can’t so I appreciate that Sprout: Idle Garden exists to let me live out my horticultural dreams in digital form. 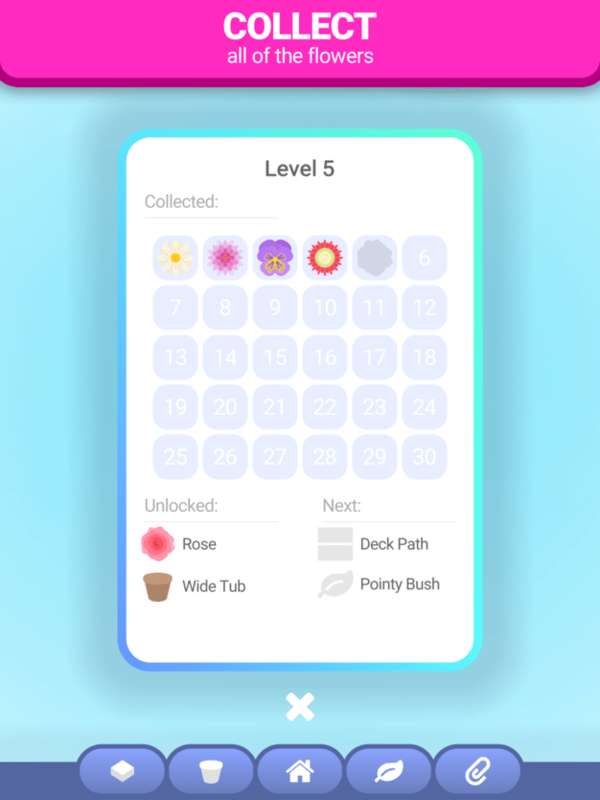 The next thing I want to point out is that Sprout isn’t your average “clicker.” Yes, you literally do click on a flower to harvest it (though this isn’t required, as your little hired gardeners do this for you anyway), and all the progression systems of your typical idle game are present with upgrade trees and tons of items to unlock as you level up. 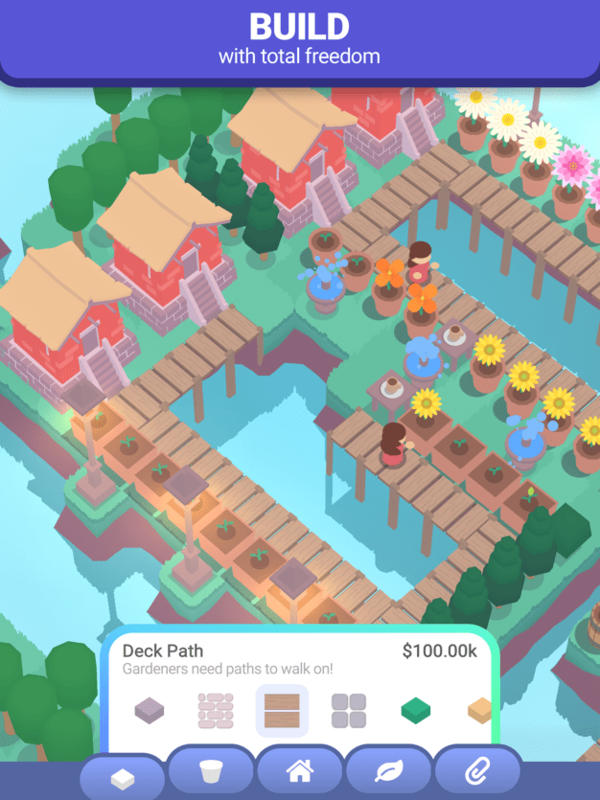 But above all Sprout is all about building your own garden paradise, and if you’re the type of person who goes crazy over designing and building your farm out in Stardew Valley, geeking out over the placement of every building, crop, and pathway, then this game will tickle you in all the right ways. So while all the carrot on a stick gameplay of most clickers is ever present and most definitely compels you to continue on and unlock more stuff and upgrade more flowers and earn MOAR MONEY, it’s all wrapped up in this adorable, almost city-building-like game that will never make your thumb cramp from mindless clicking. It’s ingenious really, and I haven’t felt this in love with an idle game since Brew Town a year ago. Both it and Sprout show that it’s not enough to just reskin whatever menu interface you have into a “new” game, and that simply seeing progress bars fill up isn’t enough to get the job done anymore. You’ve got to bring your A game with something more substantial, and Sprout: Idle Garden does exactly that. For even more information about Sprout, check out our full review.